When it comes to convenience, nothing is better than our same-day and emergency services, which offer flexible scheduling solutions for everyone. We provide fast professional repairs and replacements to deliver you safe and effectively performing springs. 1993 was a significant year for garage door openers as well as consumers because safety sensors became obligatory for the higher protection of people. Until then many people were injured by electric openers and there was a high need to add features, which would protect them from collapsing or malfunctioning door panels. The safety sensors came to fill the gap but to this day accidents still happen because homeowners neglect to check and repair them. 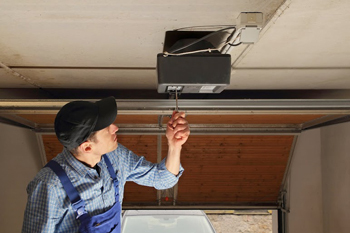 Garage door opener sensors maintenance doesn't require specialized knowledge, too much time or great efforts but it will protect your kids and pets in times of trouble and that's why troubleshooting them is vital. 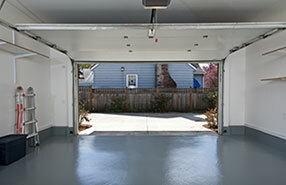 Garage door repairs may need special skills but checking the condition and efficiency of safety sensors is rather simple. The main job of sensors is detecting an obstacle, which may stand in the way of a closing panel and, in this case, it should reverse the movement of the door immediately. If that doesn't happen, garage door sensors replacement will be mandatory. So, it's not difficult checking their effectiveness. You simply have to put a chair, a toy or any other object under the door and press the garage opener remote to close the panel. The sensors ought to reverse the mechanism. Apart from this little experiment, you need to check the sensors themselves to ensure their good condition. • Obviously, you need to make sure that they are properly connected with the garage door opener and the wires are plugged in and not worn. • Make sure they are aligned and nothing stands in their way since they must face each other. In any other case, they won't be able to detect your car or child passing under the closing door. • Tighten up the brackets, which hold them in place. 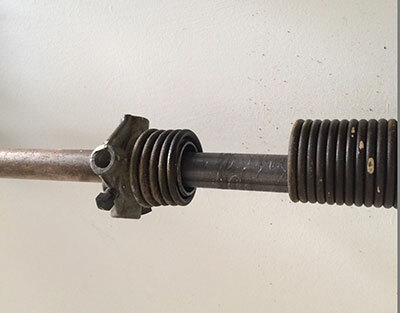 If the garage door brackets are rusty or damaged, you must replace them immediately. • Clean the lenses, make sure the green and red light work fine, and the sensors receive electricity.